Plus-size retailer has partnered with designers Isabel and Ruben Toledo for a new collection, which debuted on March 23 at Seagram Building in New York. The show included both Spring and Fall styles, including day dresses, coats and cocktail dresses, including some featuring the Toledos’ original prints. 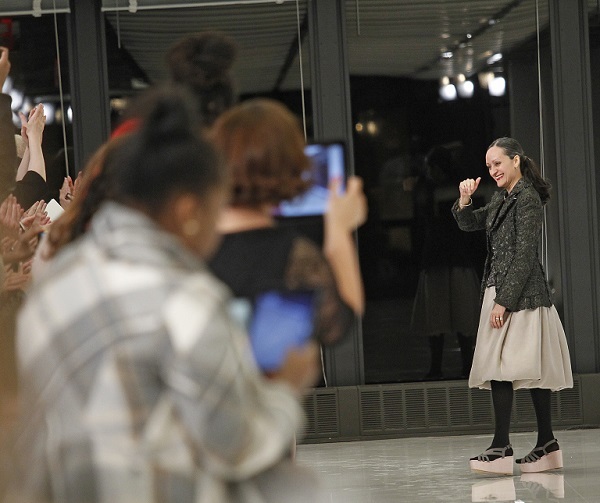 “Dressing a Lane Bryant customer was not any different than dressing my own customers because I have women of all sizes that wear Isabel Toledo,” Isabel Toledo said. The collection is pretty fabulous–and should be an inspiration to all designers. There’s such a dearth of options out there for plus-size women, it’s great to see a new option that looks so great. Here are a few favorite looks.